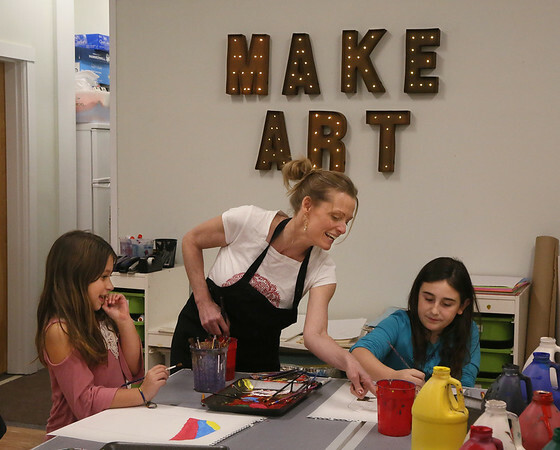 Cathy Kelley teaches nine-year-old Destiny Smith, right, and Giselle Ferreira, 8, how to paint during an after-school class Thursday at Cape Ann Art Haven in downtown Gloucester. Art Haven offers a variety of after-school art courses. For more information go to http://www.arthaven.org.